Como is a mobile app builder, designed purely to help you create the right app for your business. 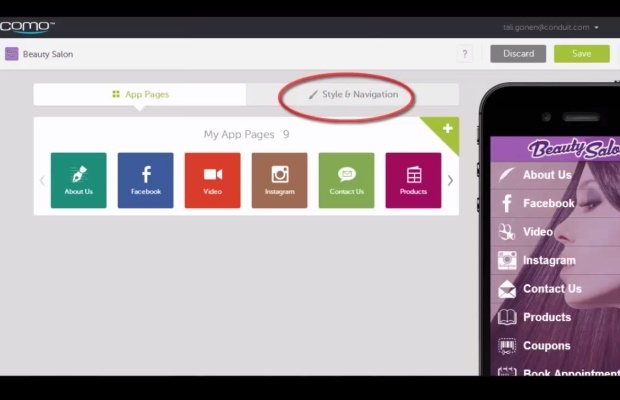 Create an app with no prior knowledge of coding or website design for mobiles, and then customise it with your own unique style and branding, using Como’s special layouts and theme options. Finally, market your business to both new and old customers by connecting with them on the move, and making your app available in the app stores. 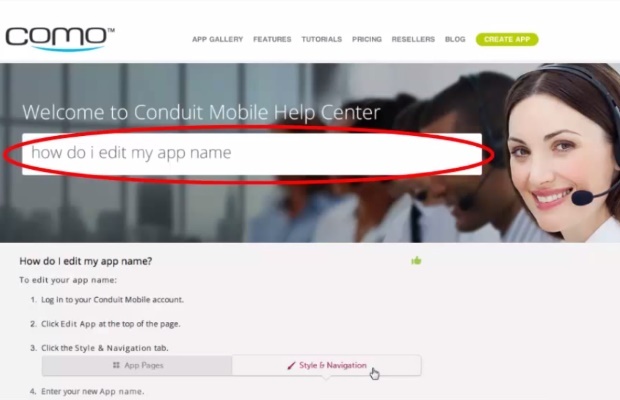 There are two ways to start building an app with Como. Sync to your business website or Facebook page and let Como intuitively design a customizable mobile app for you from your business information and followers. Alternatively, start from scratch and build a mobile app from the industry specific categories and themes that Como offers. Add and remove functionality and pages easily from the app builder tool, including only the specific tools you need to make your app stand out from the crowd. Building an ecommerce app? Allow users to book in advance, make appointments or even set up loyalty reward schemes and coupons and vouchers on the go, as well as an easy to use shopping cart function which saves your details for ease of use. If your customers need more help finding you, include Google Maps, or even a ‘click to call’ function with one swipe of the screen. Como can even offer a helping hand with your regular website, in making it responsive for mobile use for those who have not downloaded your app. Simply copy and paste the HTML code into your website using an automatically generated code. Como makes it easy for customers to share your content. Using RSS feeds or social media integration, connecting images taken directly from the app and sharing them via Picasa, Tumblr, Flickr, Facebook, TwitPic and more, and even selling video or audio files through Amazon and iTunes, a wealth of marketing opportunities are at your disposal. Use Como’s in depth analytics to monitor your apps performance and make sure to spend some time using the preview functionality on any mobile device before you publish to the app store. Geo-targeted messages via push notifications ensures that once the app is downloaded to a mobile device, your customers keep interest in your latest news and offers. Como is available with a basic, free membership which allows you to have 5 app downloads and 50 mobile app visitors per month. There are several paid subscriptions as well including the Gold and Platinum which cost $33.00 per month and $83.00 per month respectively. With these plans, you will have unlimited app downloads and unlimited visitors per month with app submission to Amazon, Apple and Android. A one-time fee of $1999 will get you the Diamond Plan, speak to a customer service operator for more details on this exclusive option. For customers on the Basic package, the help center, and video tutorials available on the website can be an excellent source of knowledge, and provide the answers when troubleshooting common queries. The help page is easy to use with a search bar to use and keyword functionality.